An evening event of intrigue, fascination and fabulous dancing. Dress in preloved or op shop costumes or ball gowns. Formal attire with flair. Masks are a must. Light supper will be provided. Drinks provided by Jindivick Cricket Club at bar prices. NO BYO. Entertainment provided by ‘Two Shades’ with music spanning from the 40s to now. This is a fundraising event by the Jindivick Mechanics Institute to replace the existing stage and hall curtains. Still revered across Australia, Henry Lawson is one of the nation’s favourite writers and poets. His contemporary, Mary Gilmore, was a literary icon and radical socialist. Both were heroes of literature that had enormous influence over each other. Both were later the face of Australia’s currency. We have lots of fun for the whole family. Market stalls, sausage sizzle, craft demonstrations, fire brigade display, morning and afternoon tea, kids activities and the auction which starts at 3.30pm. We have a fantastic selection of goods and services, also including prize winning flowers, cakes, preserve and garden produce – not to be missed! For Christmas cheer, singing, live Jazz music – A FREE BBQ. The West Gippsland Arts Centre is presenting a musical at the Jindivick Hall. This is an all singing, all dancing tribute to the man who went on to become the most famous dancer of all times. Bringing back the old world glamour and charm with plenty of toe-tapping tunes and legendary dance routines of the era, A Fine Romance takes the audience from Fred’s humble beginnings on Broadway,all the way to his Hollywood days and on screen romances with his many leading ladies, including Ginger Rogers, Judy Garland, Audrey Hepburn and Rita Hayworth. Songs include: The Way You Look Tonight, They Can’t Take That Away From Me, Let’s Call the Whole Thing Off, Cheek to Cheek, Puttin on the Ritz, Top Hat, That’s Entertainment, ‘S Wonderful, Night and Day and many more. This year we are going to ‘Paint the Town PINK’ for breast cancer awareness, funds from the activities will go to local groups who support breast cancer patients. Stall holders required as a one off opportunity to clean up & sell your pre-loved items. De-stash the shed, cupboards or the house! 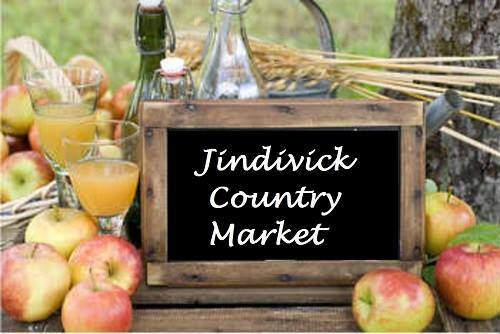 Make the most of the Melbourne cup long weekend and spring clean 2016, come book a site at the Jindivick Country market. On Saturday 5th November 2016 9am -1pm in the Jindivick Hall & outside grounds including tennis courts. The market is now managed by the Jindivick Progress Association.